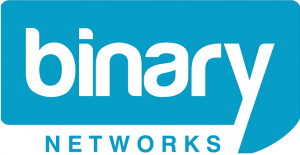 Binary Networks has formulated the IT Professionals Network (IPN) which is a directory of I.T. services organisations throughout Australia who we know and trust to assist you with your telecommunications needs. We understand that one size doesn’t fit all. Whether you need help setting up your favourite email client or need an electrician to install a few extra computer points, we have an industry professional to assist you with your needs. ITtelligent scored a highly recommended rating for customer satisfaction in the Australian Achiever Awards for 2010, 2013 and 2014. Australian Achiever Awards. Specialists in IT&T solutions for television and media production houses. We have a network of over 900 contractors Australia wide and provide technical services of all levels for any type of equipment or service. We perform telephone, data, electrical, alarm system, CCTV, TV antenna and fibre optic cabling, All types of Telephone System and IT Equipment installations, relocations, adds, moves and changes, fault finding including high level investigations and mediation.